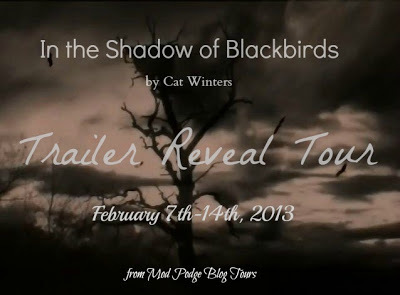 IN THE SHADOW OF BLACKBIRDS Advance Reading Copies! The back cover is lovely, but I had just seen a sample of the full hardcover book jacket just hours before receiving the ARCs, and the final version is so much more jaw-droppingly stunning that I'm not going to even share a photo of the ARC's back cover. Even the spine in the final version has a little more to it, as well as the interior pages. As excited as I am about the ARCs (which are indeed amazingly beautiful), I have to say the finished version will be a breathtaking work of art, thanks to the book's talented designer, Maria T. Middleton. 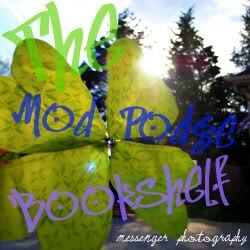 If you live in the U.S., enter to win my current giveaway at The Mod Podge Bookshelf. If you're a bookseller, librarian, book reviewer, book blogger, or someone else who typically receives galleys, fill out my ARC request form. If you are open to receiving an electronic copy, please note that the book will be on NetGalley in early December. If you are heading to ALA Midwinter in Seattle this January, stop by the ABRAMS booth. I'll be signing ARCs that weekend (exact dates and times to be announced). Thanks so much to everyone who's already expressed an interest in receiving an advance copy. More giveaways are also in the works. Advance reading copies of In the Shadow of Blackbirds have arrived at my publisher's offices (check out the sneak peek of the book's beautiful spine here), and I should be receiving my copies before Thanksgiving. To celebrate, I'm over at The Mod Podge Bookshelf with an ARC and swag giveaway, as well as a guest post called "Five Reasons Why Historical Fiction Rocks!" If you're the winner of one of my Halloween giveaways and still waiting for your ARC, thank you for your patience. I'll put your copy in the mail shortly after I receive my shipment. I'm dying to see the ARCs myself and will definitely post photos when they arrive! The Abrams Kids Spring 2013 Catalog! The Abrams Kids Spring 2013 catalog is now available, and I'm happy to report that In the Shadow of Blackbirds is featured on page 41, right next to Bruised, a novel by one of my fellow debut author friends, Sarah Skilton. And sharing my April 2013 release date is pub-day buddy Elisabeth Dahl, author of the middle-grade novel Genie Wishes (p. 32). The catalog also features novels by two authors who have been showing us newbies the ropes, A.G. Howard's Splintered and Shelley Coriell's Welcome, Caller, This Is Chloe. I'm incredibly thrilled and honored that In the Shadow of Blackbirds has been included with the works of ALL the talented ABRAMS writers and illustrators. It's been an amazing experience working with this publishing company, and I'm so grateful to be part of Spring 2013. So...Is Mary Shelley Black Related to THE Mary Shelley? I haven't yet received enough frequently asked questions to create a FAQ page, but one question that keeps coming up is whether or not my In the Shadow of Blackbirds protagonist, Mary Shelley Black, is related to THE Mary Shelley, author of Frankenstein. No, she's not. My fictional Mary Shelley's mother gave her that name because Frankenstein was her favorite novel. 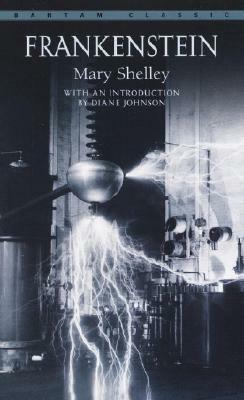 Like her mother, and like Dr. Victor Frankenstein, Mary Shelley Black is scientific minded and madly in love with modern technology and electricity. She frequently wears gadgets and contraptions that reflect her scientific curiosity (hence, the goggles around her neck on the cover). However...even though In the Shadow of Blackbirds isn't a retelling of Frankenstein or anyway related to the famous Shelley family, I have inserted other Frankenstein references throughout the book. I'll be curious to see if readers and reviewers pick up on all my tributes to the real Mary Shelley's classic tale of horror. I'm not going to say too much about Stephen at this point—you'll have plenty of time to get to know him when you read the novel. If you really, really can't wait until April and are dying to ask a question, feel free to see if I'll budge on any info in the comments section of this post. I may answer questions that don't involve one of the book's many secrets. Congratulations, Malvina! I'll contact you soon. The winners of my giveaways at IceyBooks and Writer, Writer, Pants on Fire are being contacted by those bloggers.